The redbud tree (Cercis canadensis) produces a colorful display of dark pink or white blossoms every April. It is a popular landscape tree. The tree's foliage is a deep green and the leaves are heart-shaped. Bark is smooth and gray in appearance on young trees but over time begins to thicken and appear to be red scales in elderly trees. Each fall the tree produces long seed pods. Fully grown, the redbud will attain a height of approximately 40 feet. 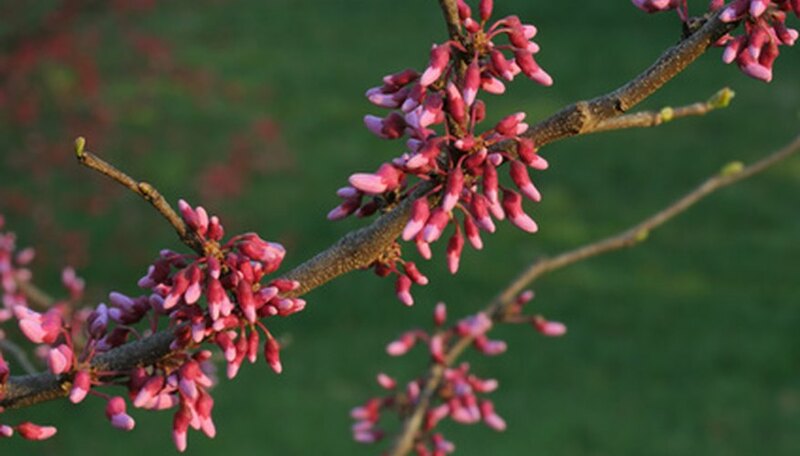 The redbud tree can easily be propagated by seed. Ripe seeds require a period of chilling and then can be placed directly into the soil for seedling growth. In the wild, the seeds fall to the ground and often lay dormant for years before seedlings are produced. The redbud grows as an understory tree in nature because of its short stature. The tree thrives for many years under towering evergreens and other tree varieties in the dappled shade they provide. Its range spans the eastern United States to Canada and as far west as Texas, Oklahoma and Kansas. The redbud can be found growing in a wide variety of soils but it prefers moist, well-drained soil that is high in organic matter. The best growth is attained when the tree is planted in soil with a pH balance above 7.5. The tree cannot tolerate waterlogged roots from flooding. In the first season of the tree’s life the seeds will germinate and the seedlings will grow approximately 1 foot. After the first year the growth becomes quite rapid. 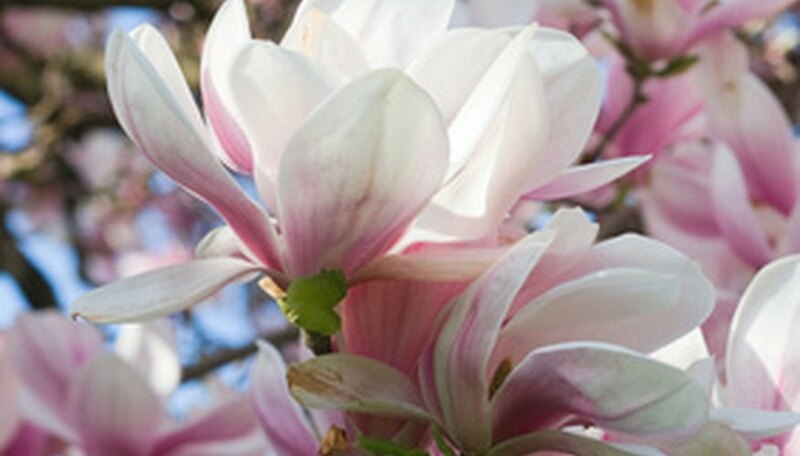 The redbud will begin to flower at seven years of age, according to the National Forest Service. The redbud develops a deep taproot that will grow horizontally if there is an obstruction that does not allow it to grow straight downward. Most redbuds do not live past 40 years because as the tree ages it becomes less tolerant of shade and is often unable to obtain the size of other trees in the forest to reach the sun. The tree is also highly susceptible to heart rot as it ages. The tree is also plagued by canker (Botryosphaeria ribis). Entire groves of redbuds have been destroyed by canker. The flowers of the tree have been consumed fresh in salads for centuries. The flowers and buds are also often fried. The bark has been used as a treatment for dysentery. Bees adore the blossoms of the redbud and flock around the tree in the spring. The flowers are also a favorite of hummingbirds. Songbirds and mammals feed on the seeds during the fall and winter months. The redbud is often called the “Judas tree” because it is believed to be the tree variety that Judas Iscariot hanged himself from after his betrayal of Jesus. The redbud is also referred to as the Eastern Redbud in the United States due to its native range. University Of Texas At Austin: Cercis canadensis L.